Tobias Alcott: My wife thinks it's wonderful. But she's my wife and and you can never trust a value system where true love is involved. I just saw this at the Grandin Theater in Roanoke- a renovated cinema where I work part-time. I had missed a chance to see it when I was at Sundance earlier this year. 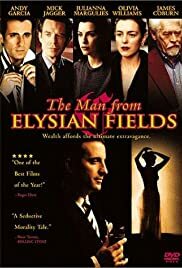 "The Man From Elysian Fields" is a cool gem. The cast headed by Garcia is awesome. It is a powerful reminder of what a great actor the recently departed James Coburn was. He plays a pivotal part in this film. Overall, the film- though certainly not as classic as "Chinatown," has a feel which is reminiscent of that film. 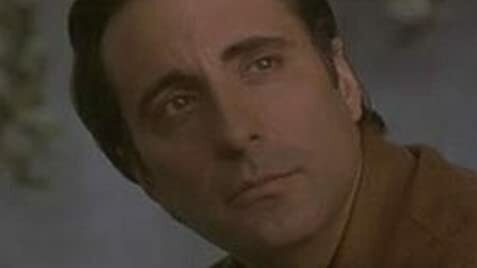 The script, editting and cinematography all add to the atmosphere as does the jazz soundtrack. I just have to say go see it for yourself. Quite a film!